If you’ve been reluctant to upgrade from analog cameras, here is what you need to know about IP cameras. Are you trying to decide on the best IP cameras to choose for your business? How can these cameras benefit your company? If you’ve been reluctant to upgrade from analog cameras, here is what you need to know about IP cameras. PTZ: PTZ IP cameras are so named because they can pan, tilt, and zoom. These cameras can help cover large areas and can be run by special software to operate without the need for an attentive operator. Dome: Dome cameras are often found in stores and businesses. These cameras are covered in dark domes that make it difficult to tell where the camera is pointed. Bullet: Bullet cameras are perhaps the most recognizable type of security camera. These cameras are cylindrical, and are the most traditional type of camera, offering high resolution, easily replaceable lenses, and easier to clean lenses. Because of the way these cameras are constructed, their housing can reduce the amount of reflection that reaches the lens. Fisheye: Fisheye cameras can also cover large areas with a full 360-degree range. A fisheye camera also allows you to use one camera in place of several, since this camera can zoom in and out to focus on a particular area. 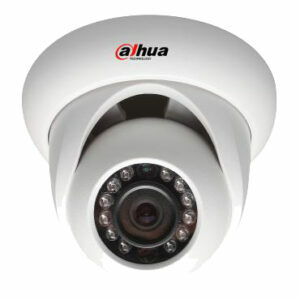 What are some other benefits of IP cameras? The images stored on servers and time stamped and can be easily emailed to other personnel or law enforcement. With analog cameras, simple transfer of images is not as easy to accomplish. As beneficial as IP Cameras can be, there are also some potential drawbacks to consider. Because these cameras require more network resources, your company may need to increase its available bandwidth. Even so, increasing the bandwidth may be worth it if the benefits outweigh the costs of upgrading. Data storage is another concern relating to IP cameras. Larger and larger hard drives are needed to store all of the necessary data. However, with the advent of the cloud, offsite digital storage has become much less cumbersome than relying on on-site physical storage. Consider ACC Telecom for Your Surveillance System Needs! This entry was posted on Thursday, September 14th, 2017 at 11:06 am. Both comments and pings are currently closed.